MasterTrust is a full service broker based out of Mumbai. Lets have a detailed Mastertrust Review & understanding of MasterTrust Demat Account, Brokerage Charges, Master Capital Trading Platforms & other features of this broking house. Mastertrust also known as Master Capital Services was incorporated in 1994. It deals into equity and derivatives market through BSE and NSE. This broking house trades into currency market through MCX-SX. Master Trust also provides commodity trading on MCX and NCDEX through its subsidiary company, Master Commodity Service Ltd. Master Capital has its own DP service and registered as a DP with NSDL and CDSL. The other services of Master Capital includes merchant banking, mutual funds, IPO’s, life insurance and general insurance products. Property services, margin funding and loan, financial planning, SEBI Registered Portfolio Manager, etc. are also available with MasterTrust. Master Capital has pan India presence with over 505+ branches and franchisee network as well. 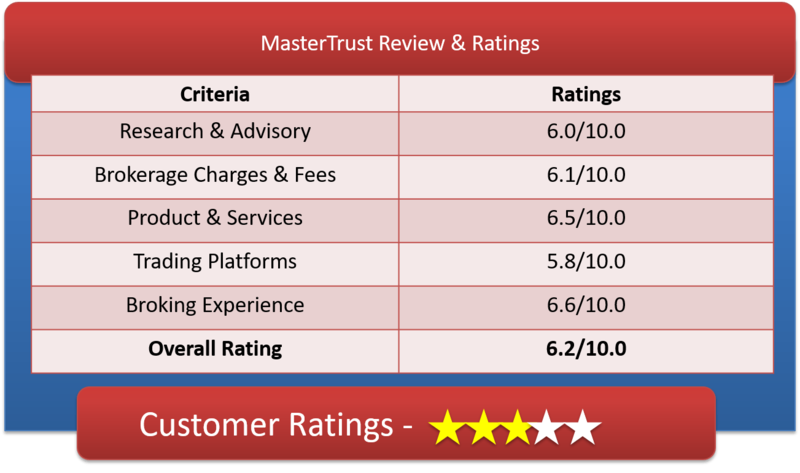 MasterTrust is reliable for customer services and giving more values to hold a strong and long term relationship. They believe in customized care They treat each customer as unique and provide personal help by a team of dedicated Relationship Manager. They provide access to all your requied financial reports online to make it transparent. Master Trust have subscription of research report as well as SMS service to get quick updates. Portfolio manager subscription can help you track your investment on real time basis. Other than above features, MasterTrust have centralized query resolution process, toll free number, live chat, email support and online query resolution which shows they do care their clients. Brokerage plan is quite simple and competitive. The broker charges 0.10% for trading in equity cash, 0.01% for trading in Intraday and Future. Option trading can be done at Rs 10 per lot which beats best in business on pricing basis. Master Trust Equity delivery brokerage chargeis 0.10%, which is very lesser than all other big brokers, such as HDFC Securities, Kotak Securities, ICICIDirect, Sharekhan, etc. Option Trading @ Rs10/- per lot with Mastertrust is also cheapest among all full service brokers. Avail all this brokerage rates, but first have Demat account(compulsory) with Master Capital along with trading account. Currency Option Rs 5/lot and and Future trading for 0.005% of turnover. Commodity trading 0.007% of turnover which is also lowest in full service brokers in the industry. Trading & Demat Account Opening Charges – Rs555/-. Mastertrust claims to have competitive brokerage rates but they will make you to approach them personally for any brokerage related discount. The Broker serves their clients personally as they have sub-brokers office spread across the country. They want to serve each customer as different as per their financial needs as well as their brokerage are negotiable. How to Open MasterTrust Demat Account? Why Open Master Capital Demat Account? Lowest brokerage in full service brokering arena. Intelligent tools like Portfolio Tracker and Smart Stock Screener gives them an edge. Dedicated Branch & Relationship Manager for each client. Customized and Competitive Brokerage plans as per need of their client. Master Trust is using OMNESYS NEST Trader as their primary desktop trading terminal which is quite safe. Real-time market data streaming and live price quotes. Online fund transfer – Pay in and Pay out options available and takes 2 working days. It is a power-packed online trading platform of Mastertrust. It provides you with Live streaming quotes and research calls. 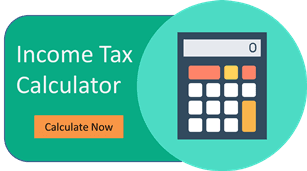 Single login for Trading, Back-office & DP activity. Various order types- Normal, Basket, spread, CO & After-market Orders. Trade on the go. Get lightning speed trading experience. With Mastermobile you can get notification or check your position done on branches or dealer office. Dual security level for no accidental trade. Stock Screeners, IPO Tracker, MF Screeners, Candle stick Charting, Risk Calculator, Retirement Planning, Education Calculator, News & Market Commentary and many more. Mastertrust is more interested in carrying business through their sub brokers and branches in different cities. Their focus is to attract local customer and not on centralized online trading. Mastertrust also spread their presence in discount brokers segment by adding new company “myvaluetrade”. By adding a new firm in their portfolio, Mastertrust wants to step and hold their footprints in market through discount brokerage. We find Mastertrust’s well-respected place in the realm of full service brokers.